Tumor cells circulating throughout the body in blood vessels have long been feared as harbingers of metastasizing cancer — even though most free-floating cancer cells will not go on to establish a new tumor. 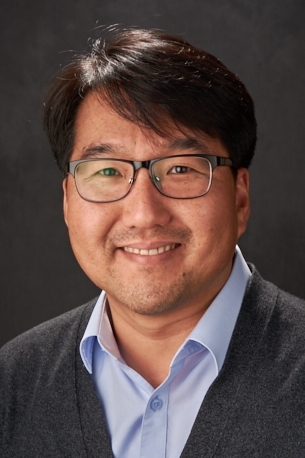 New research by University of Wisconsin–Madison School of Pharmacy Professor Seungpyo Hong and his collaborators builds on several years of work in isolating these circulating tumor cells, or CTCs, by demonstrating improved methods for their capture on clinical samples for the first time. By forcing cancer cells to slow down and developing stronger molecular traps specific to CTCs, researchers were able to identify large numbers of the cells in cancer patients undergoing radiation therapy. The number of CTCs dropped during therapy and subsequently rebounded in those patients that ended up requiring additional treatment — suggesting that this technology could supplement other techniques for tracking the progress of treatment. The study is published March 15 in the journal Clinical Cancer Research. 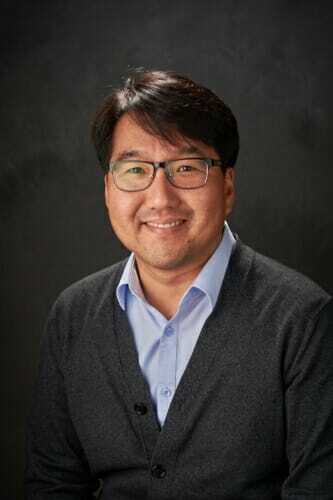 In addition to the Hong and Wang groups, collaborators from the University of Illinois at Chicago, Duke University and South Korea’s Yonsei University contributed to the work, which was funded in part by the National Institutes of Health and the National Science Foundation. Scientists have recognized CTCs as potentially useful metrics for tracking a patient’s disease for some time. But the cells are the proverbial needle-in-a-haystack, drowned out by billions of ordinary red blood cells and other cells found in the blood. Developing ways to specifically concentrate and trap CTCs has been technically challenging, with existing technologies only identifying a handful of cells from certain patients. Hong’s team was inspired by the behavior of CTCs in the blood, which attach themselves to blood vessel walls and begin tumbling along looking for suitable places to invade. This behavior separates them from the oxygen-carrying cells floating by and is mimicked in the CapioCyte technology using an array of sticky proteins that force the CTCs to begin rolling, which slows them down. 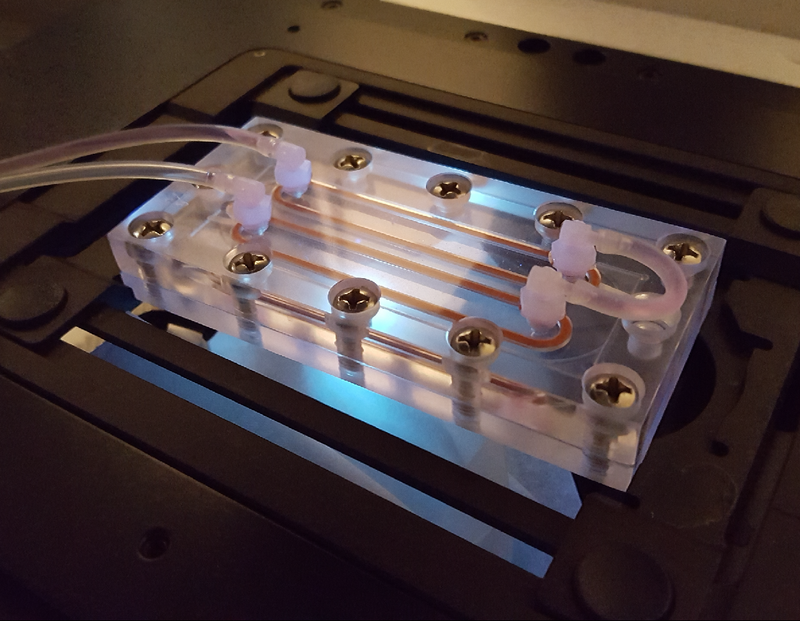 The cell rolling and multi-tipped branches helped the researchers capture an average of 200 CTCs from each milliliter of a patient’s blood, many times the number of cells captured with previous technology. They identified cancer cells in each of 24 patients undergoing treatment for head-and-neck, prostate, rectal or cervical cancer that enrolled in the study. “The absolute numbers of CTCs don’t represent too much because there’s too much variation individually, but the more important thing we found was the trend — how the CTC numbers change over time upon treatment. So, for example, we’ve shown that the CTCs go down when the patients are responding really well to the radiotherapy,” says Hong. “Our data suggest that we have a good chance of making CTCs a predictive biomarker or biomarker for surveillance for at least a few cancers, and that’s always exciting,” says Wang. This work was supported by the National Cancer Institute/National Institutes of Health (grants R01CA182528, R01CA178748, R21CA182322, and U54CA198999) and the National Science Foundation (grant DMR-1409161) as well as intramural research funds from the University of North Carolina Department of Radiation Oncology and UW–Madison School of Pharmacy.